TheLocal.se – Sweden’s news in english Published: 7 Dec 10, original article here. Reindeer are being tormented when slaughtered, according to the animal rights organisation World Society for Protection of Animals (WSPA). WSPA released a video on Monday that shows reindeer in distress when herded and transported, and while at the slaughterhouse. “The film that we are showing is particularly shocking now that Christmas is upon us, but it clearly shows the cruel reality that reindeer are exposed to,” Roger Pettersson, secretary general of WSPA Sweden, said in a statement on Monday. The footage also shows a reindeer being killed by a knife stab to the neck, as well as animals being earmarked by knife without anesthesia. “This must be stopped immediately,” Pettersson told news agency TT on Monday. WSPA tasked a journalist with investigating the conditions for reindeer on their way to slaughter. “He followed the reindeer herding and observed the gathering, selection, transport and slaughter, and evidence shows a high stress level for the animals. The reindeer are stressed during transport and their antlers become entangled. Even during branding, the animals are treated poorly,” said Pettersson. He said it is a challenge to handle reindeer, which are semi-domesticated animals and not accustomed to people. “Densely packed into transport vehicles, reindeer antlers become weapons. They get caught in the sides of transport vehicles and they can even hurt each other before they reach the slaughterhouse,” Pettersson said in a statement. As such, Pettersson advocated the use of smaller mobile slaughterhouses such that the slaughterhouse move, not the reindeer. According to the WSPA, the problem of distressed reindeer is similar in all Nordic countries. It said it will call on the the Nordic Council of Ministers to urge it to act. The council adopted a declaration in 2008 that animals should be treated as sentient beings, have intrinsic value, and should be respected accordingly. However, the Swedish National Sami Association (Svenska Samernas Riksförbund, SSR) has rejected the WSPA’s claims that reindeer are subjected to cruel conditions and vowed to take action against herders who use unsanctioned methods. 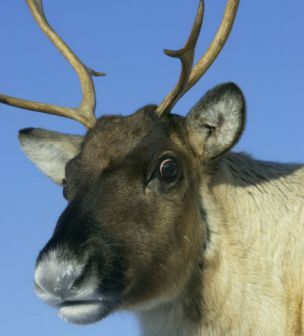 “From the reindeer’s point of view, we do not accept slaughter methods that are not sanctioned by the authorities. We take a stand against individual reindeer owners who use knives in organised slaughter,” Jorgen Jönsson, the chairman of the SSR, said in a statement on Monday. SSR national director Anders Blom added that he is adamantly against the use of a knife to kill reindeer. “This is naturally something that is upsetting, but we have nothing against someone observing how we do our job. We have nothing to be nervous about,” SSR national director Anders Blom told TT on Monday. “We only use approved methods and have been working with government agencies to create programs for the treatment of animals based upon existing regulations,” he added. Research by the SSR, in collaboration with Sweden’s University of Agriculture(Sveriges lantbruksuniversitet, SLU), shows that the stress levels of reindeer which are slaughtered has decreased during the last couple of years and are now at acceptable levels, according to Blom. “You measure the animals’ pH levels. The limit for a healthy animal that is not stressed during slaughter is 5.8. Fifteen years ago, 30 percent of the animals were above that value – today it is 8 percent. Most show no signs of stress,” he said. I don’t see the problem here. Hornorkesteret enjoys all the parts of the reindeer. Fancy dinner for friends or relatives? Reindeer steak! High-energy snack on camping tours? Smoked reindeer heart. They have antlers, they pull St. Nick’s sled and they taste great – The reindeer is truly one of my favourite animals. Supermarket Lidl has been slammed by protesters for selling reindeer meat in the run-up to Christmas. The German-owned supermarket, which has 500 stores in the UK, is selling frozen reindeer steaks at £5.99 for a 350g pack under its premium ‘Deluxe’ brand. But vegetarian campaign group Viva! has slammed the move, claiming that the ‘Rudolph steaks’ ruin the spirit of Christmas. Spokesman Justin Kerswell told The Grocer magazine: ‘Lidl is destroying the magic of Christmas by selling dead reindeer. ‘What they term “luxury cuisine” belies the truth behind an industry that exists to exploit wild animals. He added that reindeer are often herded by snowmobiles and caught using lassoes, which ‘causes them huge distress’. A spokesman for Lidl said the reindeer used for its product ‘live in their natural habitat and have plenty of space to move around’. Tags:british failure, fury, Justin Kerswell, Lidl, reindeer, reindeer meat, Viva!